사진 속 뻗은 손들처럼 불빛들처럼 슬픈 마음들이 별처럼 쏟아진다. 메일의 전문. 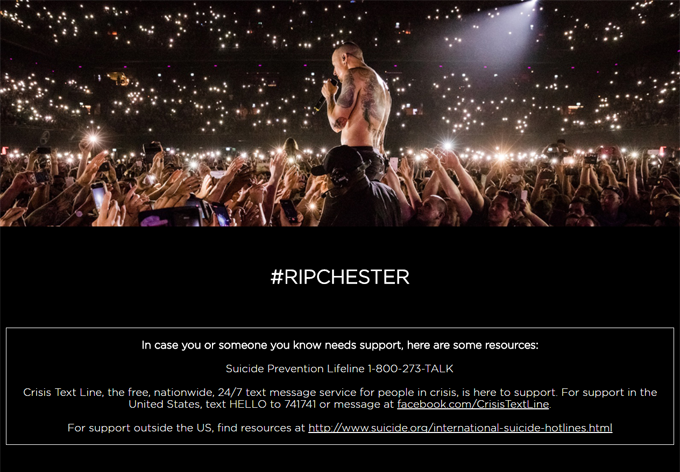 Dear Chester. 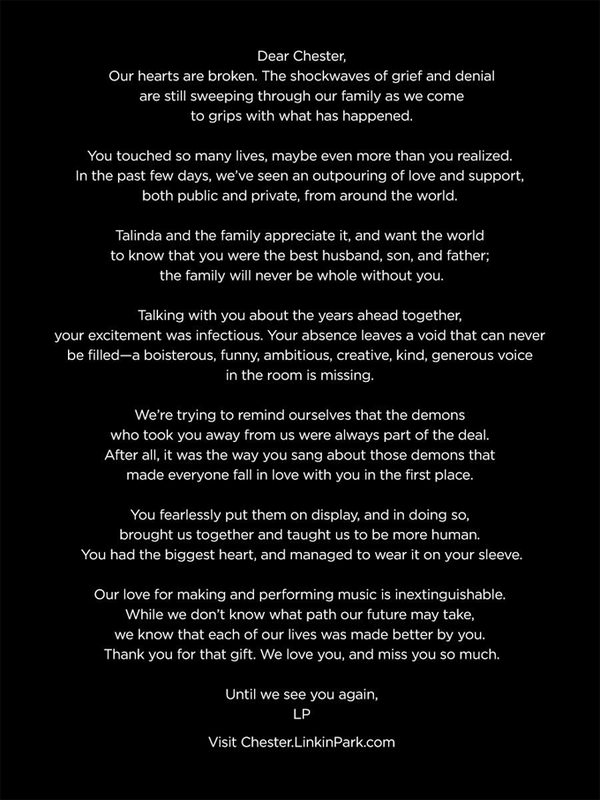 We love you, and miss you so much. Until we see you again. 이미지는 공식 트윗에서 가져왔습니다.